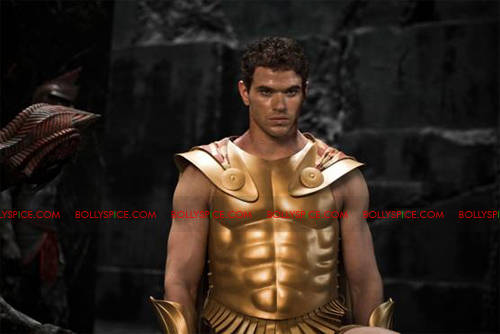 Check out new movie stills from the 3D action adventure Immortals stills, and the character descriptions! The film releases November 11th at a theater near you! 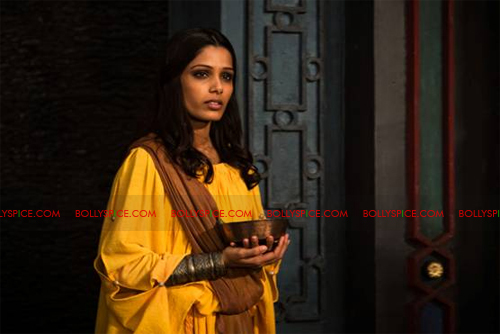 Phaedra (Freida Pinto) – Trained as a priestess since birth, Phaedra is a gifted Oracle, capable of divining glimpses of the future, but unable to control or even interpret her visions. Sought by King Hyperion (Mickey Rourke) as a means to find the long lost Bow of Epirus, she hides in plain sight as a slave in his encampment. Her beauty, wisdom and kindness capture the heart of Theseus and he aids her escape from the Heraklions, while she and her visions help to guide him to his destiny. Athena (Isabel Lucas) – The Goddess of Wisdom and Zeus’ favorite daughter, Athena is her father’s trusted ally, protector and advisor. But when deadly warfare on earth threatens to destroy mankind, she defies Zeus and puts her wits to work building support for Theseus and his rebels among the divine inhabitants of Mount Olympus. Poseidon (Kellan Lutz) –The God of the Sea, Poseidon is ordered by his brother Zeus to allow mankind to settle its own scores, no matter the consequences. But like Athena, Poseidon has a mind of his own, and he finds an ingenious way to aid Theseus and his supporters. Theseus (Henry Cavill) – A fatherless child raised in a provincial village, Theseus has faced ostracism and ridicule since birth, until a mysterious old man appears and patiently trains him in combat and philosophy. After his mother is cruelly murdered and he is enslaved by the vicious King Hyperion, the downtrodden peasant uses those skills to transform himself into an invincible warrior. Escaping his captors, the people’s hero leads his followers into battle against Hyperion’s deadly forces to try and save mankind from a Titan uprising.